What happens when you take the setting from the Jaern manual and let adventurers go crazy on it for a few real years? 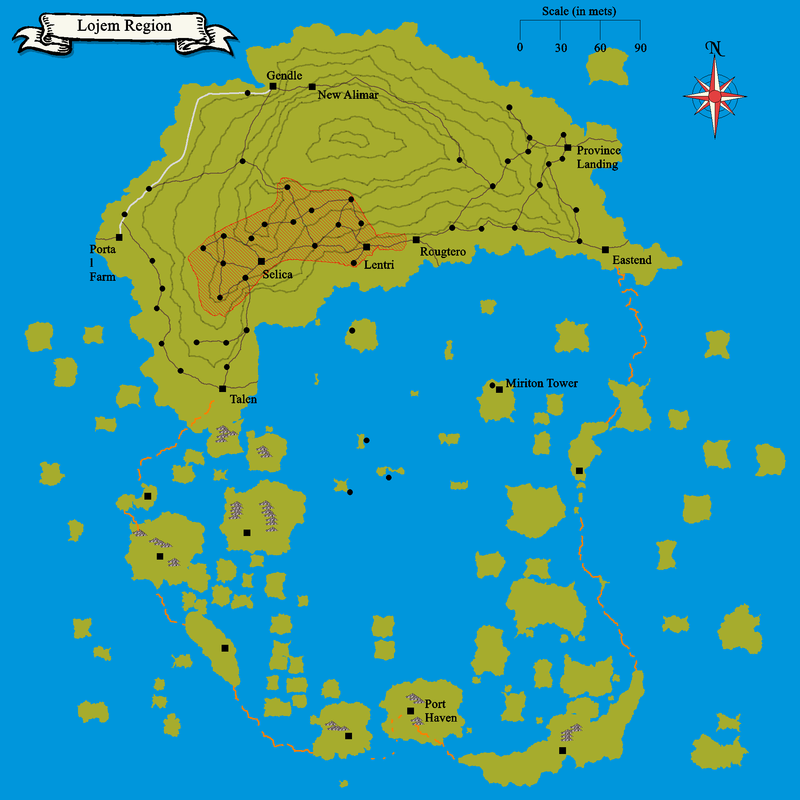 Well… lots of death, chaos and destruction and the birth of a little hamlet called Rougtero. Rougtero is the main adventurering town on Lojem Island. Rougtero which in Paroli means “Red Dirt” or “Red Earth” is a plot of land that was given to the refugees of Karfelon by the elves. It has become a robust city and a center of trade on Lojem. The Random Encounter Tavern isn't actually located on Lojem island, but the main entry way is a psionic teleportation circle located at the former location of the Portal Farm (known as Port Senfinico).